This second unit of inquiry for students in World History I focuses on the Polis, or Greek city-state. We will examine Greek ideas about society and government and explore how they continue to impact us to this day. Students will analyze different forms of government--democracy in Athens and oligarchy in Sparta--and explore the degree to which each type lived up to its promise. This unit will be thematically linked to the following unit on Rome, which also focuses on government and the use and abuse of power. Throughout the unit, students will use critical thinking skills to make comparisons between and evaluate societies and governments. How did the individual Greek city-states, specifically Sparta and Athens, contribute to the development of government? How did the differences between Sparta and Athens influence Greek and world culture? How did other Greek city-states contribute to the development of ancient Greece? How should a society be governed? Ancient Greece was the cradle of development for various political systems. Each form of government has advantages and disadvantages. Athens was a democracy and Sparta was a military oligarchy. 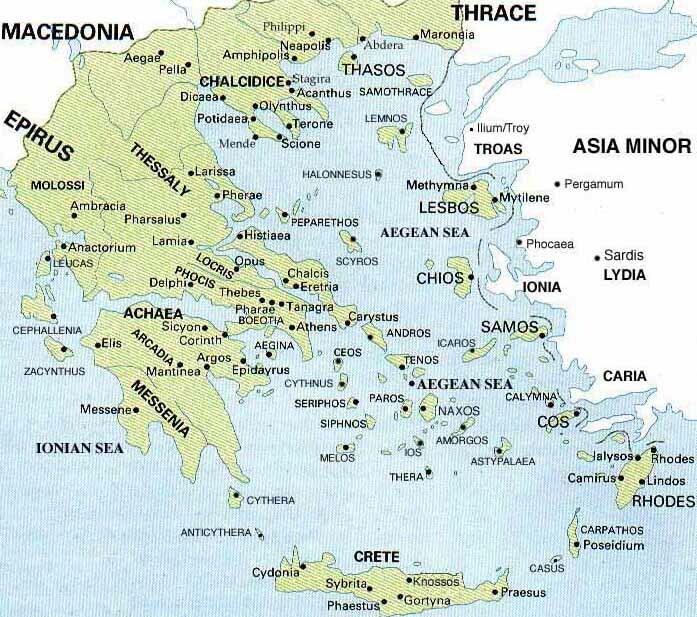 The Greek city-states contributed to the development of government.